TenguLife: The curious guide to Japan: Everyone is a genius. Einstein said so. And he was one. And so are you. 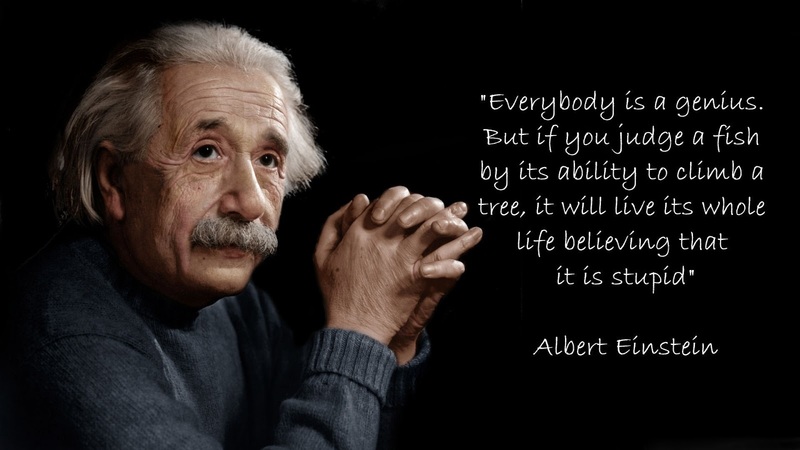 Everyone is a genius. Einstein said so. And he was one. And so are you. It's actually quite interesting that there have been twenty two Japanese winners of the Nobel Prize (ten of which were in physics by the way, a subject close to my heart). Recently an OECD survey (the world's club of rich countries) pronounced Singapore as the best education structure in relation to science and engineering. Asian countries rounded out the top five with Japan coming in with the fifth place. The USA and UK came in at the low twenties, something to raise the question about the benefits of an Anglo-Saxon education. But wait. Japan may have produced twenty two Nobel Laureates but the UK has raised 115. And America trumps that in spades with 353 (as of 2015). Given population variances, Japan is running at roughly 20% of the rate of global recognition of the UK or the USA. And it doesn't end there. A quick online search of entrepreneurship also suggests a similar pattern. Japan may be #5 in education but it is also close to #30 in business development. The education doesn't appear to be producing the desired effect. Children simply don't know how to ask a question. I once arranged for a visit by Grade 5 students from and internationals school in Tokyo to visit a store of a fairly famous sports brand. We spent an hour discussing why particular products were grouped together and why specific graphics were being used in specific places. The kids had great ideas and clearly understood the basic principles they were seeing. The interesting moment came when the students had left and the store manager approached me. He didn't understand why I'd been asking questions. When he was at school the teachers would just tell him the answer. Which he would write down and learn. And there we have 22 vs 115 vs 353. Ask the question. Any question. Make them think. So just who was Mamoru Shigemitsu?